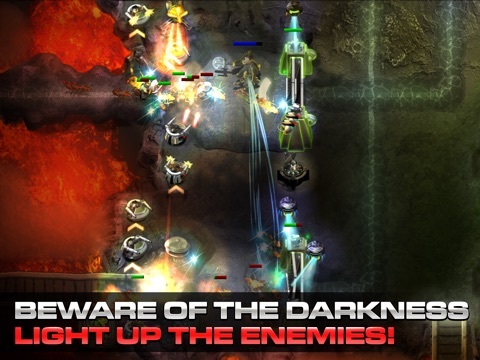 [PROMO CODES] Complete the SENTINEL Tower Defense series collection! Discussion in 'Promo Codes and Contests' started by Repair Drone, Feb 19, 2015. 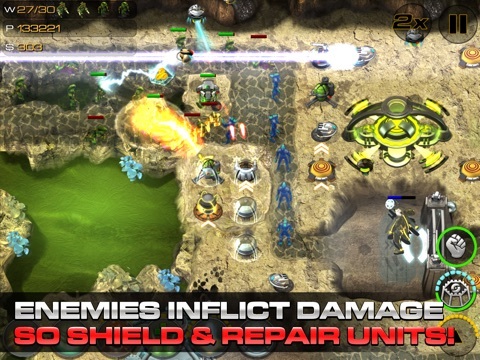 The galaxy's finest tower defense series returns with an epic new installment Sentinel's award-winning strategy gameplay expands explosively as the interstellar war moves to a mysterious alien world. 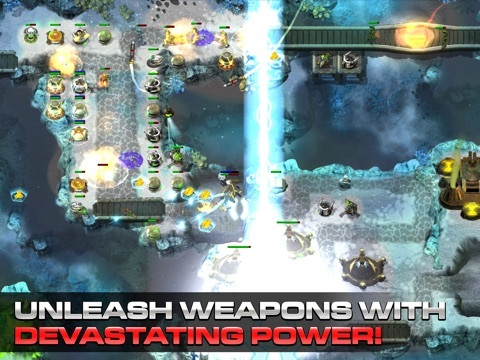 Deploy devastating new towers and technology against an enemy that's smarter and more deadly than ever before. 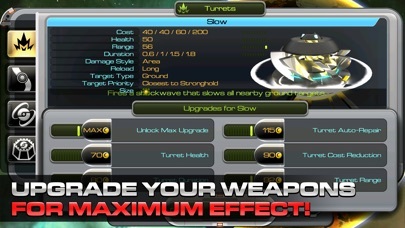 Battle across vast landscapes and earn a wealth of upgrades as you explore the mystery of the Dark Star. CONQUER • A huge campaign across 26 unique maps, each also playable in Endless mode. • A second campaign introducing more weaponry and exploring a different part of the Dark Star. 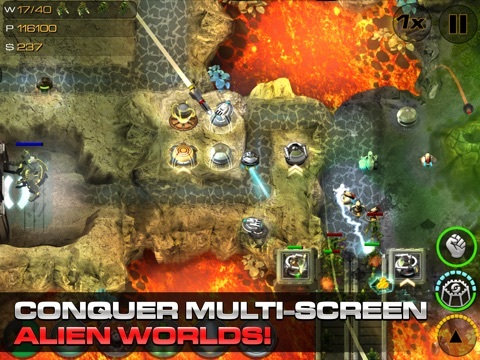 • Defend massive, multi-screen landscapes and marathon paths. DESTROY • A bestiary full of new and returning enemies. Their special abilities and varied behaviour will keep even veteran players on their toes. • The aliens fight back with the ability to damage, disable and destroy towers. How will you choose to counter them? LOCK'N LOAD • Pick your loadout from an extensive assortment of weaponry. 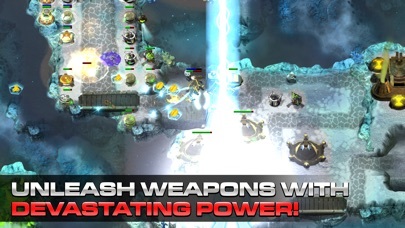 Unlock Uber Towers that pack power to match their size. • Deploy your own units onto the path to hinder attackers. • Call in support from the skies with the Sentinel's trademark ship weapons. 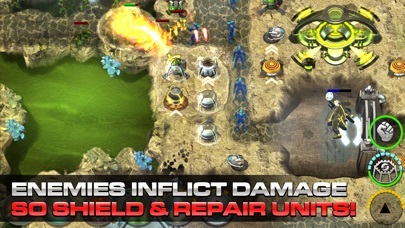 • Unleash drones, nukes and more from your new improved Stronghold. 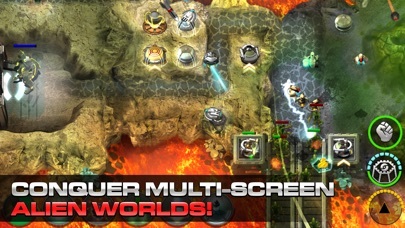 • Control Commander heroes to back up your defenses. Earn experience and level up to gain powerful new abilities. TECH • Real-time dynamic lighting and shader effects bring atmosphere to the alien landscape for the best Sentinel experience yet. ** • iCloud enabled for game saving across devices. • GameCenter for leaderboards and achievements. REWARD • Spend your earnings on a massive selection of persistent upgrades to support your play style and complement your tactics. • Upload your score to the Global Nexus and contribute to the worldwide cooperative push for rewards. Follow us @origin8 on Twitter, Facebook http://www.origin8.com/sentinel4 ** Recommended for: iPad2+, iPhone4S+ and iPod Touch 5thGen+. 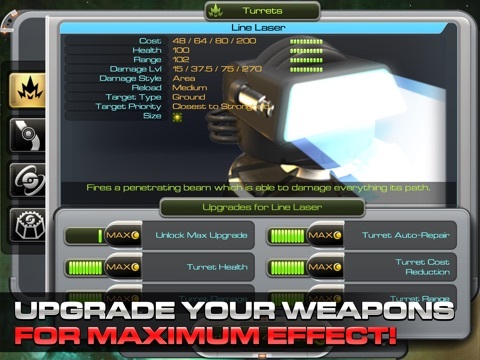 ** The game will work on iPhone3GS, iPad1 and iPod Touch 4thGen but without these effects. 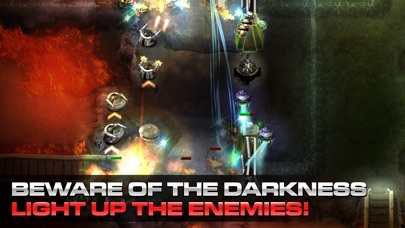 Next, if you want to complete your Sentinel collection with promo codes for Sentinel: Mars Defense, Sentinel 2: Earth Defense, and Sentinel 3: Homeworld, just post in this thread. On Monday I'll pick the winners at random. We'll give away one set of codes for every five entrants (rounded up), except in the unlikely event that this exceeds the number of codes available. I would love to win all or one of these. Any is fine. I am not picky. Thank you so much for the codes. I have started to play Sentinel 4 and I love it. So, yes I would be pleased to win a code for one of the previous episode (the 3 has an amazing reputation on the net !). And thank you again so much for providing codes for such great games !!! None. But I dream about being able to work again. A great giveaway of an amazing series! Now I have to spend the next few days with all my fingers and toes crossed! Count me in please, thanks! I'd love to join in this giveaway! I do hope your game picks up again. Then you can get started on a new Sentinel 5? Count me in. I love TD games. Just got the Last Part of the Series would Love the other ones as well. Great Promo ty! Cool contest! Count me in! I'd love to play those games! The 4th is awesome! good contest, count me in plz. I would like either Sentinel: Mars Defense or Sentinel: Homeworld. I'll PM you your codes in a bit. Thanks for playing everyone! I did not expect to win. Thank you for your generosity of giving away all 3 games. I will play them in places that make other people ask me what I am playing! And; congrats to the other winners as well! thanks for the contest and congrats those who won. have fun! I am very lucky to be one of the winners, thank you very much for the contest and i am going to play the games right away. PS: congratulates to the other winners.